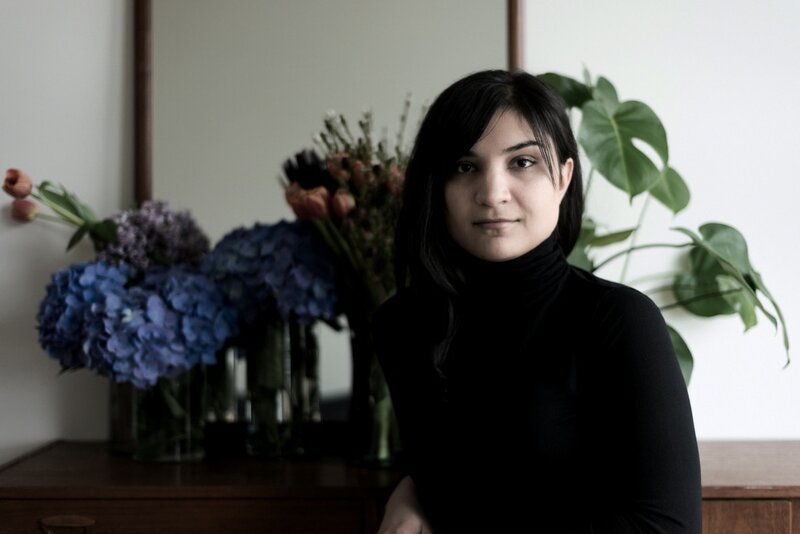 On Saturday 13 October, Sarah Davachi, a young but critically acclaimed LA-based composer and performer of electro-acoustic music will be in Sheffield to play at No Bounds Festival. No Bounds is one of the most culturally ambitious events happening in Sheffield at the moment, exploring ideas of freedom and expression through the lens of club culture, art and technology. Davachi’s projects are primarily concerned with disclosing the delicate psychoacoustics of intimate aural spaces, utilising extended durations and simple harmonic structures that emphasise subtle variations in overtone complexity, temperament and intonation, and natural resonances. The instrumentation she employs is varied, including analogue synthesisers, piano, electric organ, pipe and reed organ, voice, tape-replay samplers, orchestral strings and woodwind. Her music is informed by minimalist tenets of the 1960s and 1970s, baroque leanings toward slow-moving chordal suspensions, and the experimental production practices of the studio. In advance of her performance in Sheffield, we spoke to Sarah about her work. As a child you were trained in classical piano. Can you tell us about how you moved from performing other people’s music to creating your own? My years playing piano (about 14 in total) were quite formative insofar as it was like a period of structural research – I studied western theory pretty intensely alongside the performance aspects and was also curious about how things could be pulled apart harmonically. So I think it was initially a theoretical interest that motivated me to initiate my own compositional explorations in harmonic and intervallic texture – what is it about that chord that I like and why? I did some really early sketches for piano that were informed by this interest, but the piano never felt like the right instrument for me from a compositional standpoint. It wasn’t until I discovered instruments like the organ and synthesiser a year or two later that I was able to generate the sounds I wanted to achieve more organically and intuitively. There is a lot of processing of sounds and use of the studio in your records. How do you go about translating these records to a live performance? I don’t usually try to translate anything from one medium, as it were, to the next. In my mind, studio recordings and live performances are completely different things that offer pretty different possibilities, so I like to take advantage of that. With studio recordings, I revel in the fact that I don’t have to worry about how I’m going to recreate this or that sound, and just focus on what the sound could be. For live performances, I approach things probably from a pretty similar aesthetic perspective, but structurally I revel in the fact that I don’t really need to worry about time constraints, and that I can manipulate the listener’s experience of time and space in a different way. I also like to actively participate in the performance as it unfolds in real time, so I do everything live rather than playing back things that might be more in line with the records. These days, what I do for a live performance is often on a case-by-case basis since different cities and venues call for certain presentations. On the No Bounds line-up, as is the convention with club events, some artists have ‘live’ in brackets after their name. Do you have any thoughts on this distinction? It has been sometimes suggested that audiences perceive something as ‘live’ by the extent to which they feel aware of performer decisions, often through explicit physical activity by the performer during the performance. I suppose I understand the ‘live’ signifier for certain types of music, especially within DJ culture, but I think the way in which that [DJ culture] perpetuates all aspects of electronic music making is completely ridiculous; it’s like saying that everyone who plays guitar is a singer-songwriter. With respect to what I do, there’s no difference between an electronic instrument and an acoustic one, with the exception of the method of sound generation – but, then, in that case, a synthesiser is as different from a piano as a flute is from a violin. There are so many levels of physicality when it comes to performance and anything that unfolds in relation to the behaviours of an acting body can be considered ‘live’; just because I can’t see what a person is doing doesn’t (and shouldn’t) diminish their relationship to the instrument they’re using. I think it also begs the question a bit – if you’re listening to something and it sounds good and you’re getting something from it, who cares if it’s “live” or not? So long as credit is given where it’s due (as in the case of sampling), I don’t care if the sound I’m hearing is being generated at that moment or whether it was produced last week in a studio. I’ve read that it took some time for you to really get comfortable with the idea of presenting super bare textures that shift slowly and subtly. How did you get comfortable with this and how do you manage the possibility of people being too restless to listen? I think it was initially just a performance anxiety thing – not having a lot of experience interacting with audiences and not knowing the limits or level of patience that most people can apprehend. A lot of my live performance involves active looping, which requires me to leave a sound untouched for a period of time, so I usually use a stopwatch to make sure I’ve allowed overdubs to build smoothly. I suppose knowing how long everything is sitting in real time has given me a greater sense over time of what people can tolerate, but at the end of the day I carry the sounds for as long as I think they should be so even if people start to get restless I try not to be phased by it. Usually they mellow out on their own once they’ve overcome their discomfort at the fact that things aren’t changing quickly. It’s just happened over time, I think, having played live a lot in the last couple years. You’ve said that there are very strong and fundamental similarities between acoustic instruments and the class of synthesisers that you use. What are these similarities and why do they occur in these instruments? Nice acoustic instruments, just like anything that has been handcrafted, are inherently imperfect. They were designed and constructed by human hands or by machines that were designed and operated by human hands, and thus each one will be slightly different from every other, even if it’s not noticeable to the average person. The era of electronic instruments that I use – analogue and digital-analogue hybrid instruments from the 1970s and early 1980s – are quite similar in my mind. They weren’t necessarily designed to be imperfect, rather their instabilities are just a result of the technology that was available at the time. That “analogue quality” is something that a lot of modern designers attempt to replicate, but there is nothing quite like the real thing in my opinion, which a lot of people might think I’m a snob for saying. And it’s not just limited to synthesisers – it seems that people sometimes mistakenly hear sounds as these disembodied entities, but of course the sounding quality of an instrument emerges directly from its idiom of interaction, in electronic instruments just as in acoustic instruments. Older electronic instruments – Hammond organs, Mellotrons, etc. – have all of these bizarre construction characteristics that, in my mind, really impact the way the instrument is played and how it sounds. You can’t replicate the intricacies of craftsmanship. Your most recent record, Gave In Rest, has been described as ‘a modern reading of early music’ and you’ve previously claimed that there’s a strong connection between modern experimental music and early music. There are a lot of connections I see between these two practices – Renaissance music especially and experimental music from the 1960s, 70s, and 80s. A proper response to this would involve some more ideas about the experience of sound and the cultural and symbolic importance of sound, but I do believe that there is a distinct (perhaps not similar, necessarily, but different from the norm) approach to music making from these eras that wasn’t as prevalent in the 18th, 19th, and early 20th centuries. Formally, there are more obvious similarities in style and temperament. Can you tell us about the projects you’re currently working on? I have a couple of new records that I’m working on. I just recorded a new studio album for Superior Viaduct at Fantasy Studios in Berkeley, California last month. It will be a bit more raw than previous studio albums, including Gave in Rest, in that it won’t involve nearly as much processing after the fact. Then I’m also working on a record for Room40 that will be different iterations of the organ – pipe organ, reed organ, and electric organ. There are a few other things on the horizon after that, but those two are the most immediate. And touring, lots of touring, mostly in Europe. I’m also doing my PhD in musicology at the moment, and am just kind of getting to the point where I can begin to flesh out my dissertation, which is exciting. I like research projects, most of the records I do involve some element of that. How do you think your music sits in the rest of the No Bounds line-up? Are there any other artists performing that you feel an affinity with, or might try to catch? I think it’s great that this festival is exploring so many elements of electronic music production, and not just as a novelty. I so often get booked on ambient/drone line-ups, which are great because they offer coherence for the listener but sometimes I don’t feel like it challenges the experience, which can be nice sometimes. On the other side of that, when I’m booked alongside really distant acts, like at predominantly techno festivals or whatever, it’s usually as a palette cleanser, so to speak, and not with the intention of blending different styles. So I think No Bounds does a good job of playing that balancing act, and of course I was super humbled to be a part of a showcase curated by Mark Fell. Touring schedules often have the drawback of not being able to experience anything more than the night you’re on, which is the case here, but I hope to catch as much of the Saturday night programming as I can, especially Aisha Devi.